This is 38" x 44"
Who wouldn't want a pumpkin hanging on their wall in the Fall? This quilt is very easy to make. The patches on the pumpkin are raw edge applique and the edges will fray when washed. An Orange Charm pack is supplied for the patches and the background fabric is a Studio Basic from Timeless Treasures. This is great for a baby quilt or wall hanging. 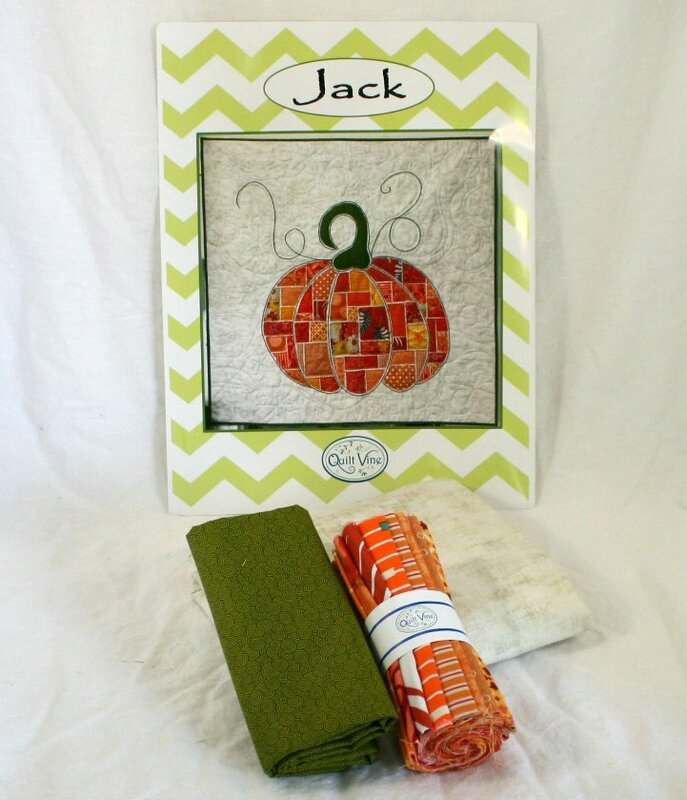 This detailed easy-to-read-pattern includes pictures and a full-sized pattern of the pumpkin. Everything to make this quilt is included in the kit except the backing fabric and batting.